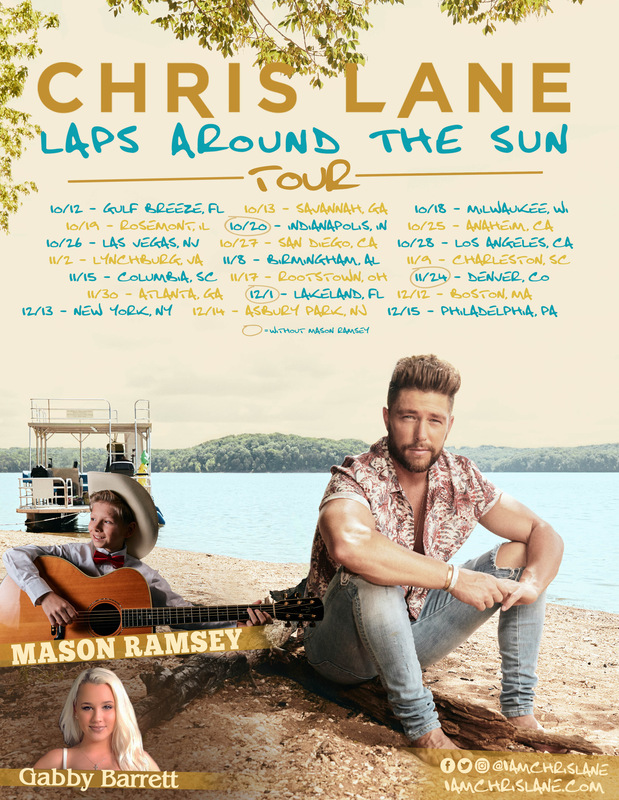 Fresh off the release of his sophomore album, Laps Around The Sun, Big Loud Records artist Chris Lane is set to put a few more miles under his feet with the headlining Laps Around The Sun Tour. Beginning Oct. 12 with a show in Gulf Breeze, Florida, the tour will be supported by rising country star Mason Ramsey and American Idol standout Gabby Barrett, visiting cities from coast to coast and culminating with a pre-Christmas concert at Philadelphia’s Theatre of Living Arts on Dec. 15. Lane will continue touring on the fair and festival circuit through the end of summer before embarking on the Laps Around The Sun Tour.